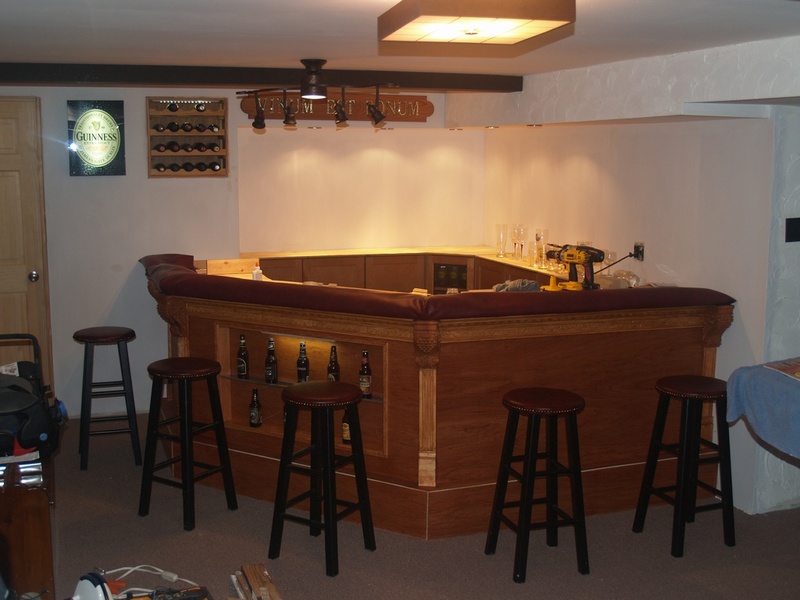 It has certainly taken longer than I had planned, and it is still a ways from being complete, but I wanted to offer an update on the basement bar project. A big thank you to my wonderful wife who has allowed me the time to work on it. You can see the progression in my album, but here’s the latest shot. I still have a lot of trim to cut, some staining left to do, and then granite tile for the top, but I can conceivably be done with all of that before winter. Maybe. You’ve done such a great job already, babe! It looks so nice.